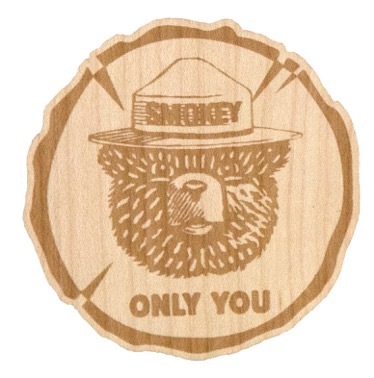 This large 2 3/4" sticker is made of genuine sustainably-sourced cherry or maple wood. Made in the USA. Flexible - will stick to any solid surface, straight or curved. Durable - coated to make it weather resistant. Unique - ready to apply to water bottles, phones, etc. QUANTITY DISCOUNT: 10 or more $ 5.50 each.